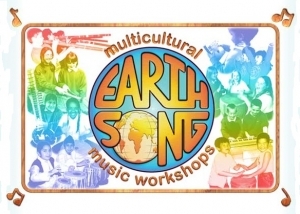 Earthsong’s multicultural music workshops are a captivating and informative way to discover music from all over the world via unique interactive lessons for all age ranges and abilities. From mouth bows of the Kalahari to moth-cocoon shakers, to giant Japanese taiko drums – the sessions are sure to inspire a passion for rhythm and culture. Earthsong is a small company with a huge passion for world music. During the past seventeen years, they have worked in hundreds of schools, delivering quality educational workshops, introducing unusual and fascinating instruments from around the world.